Downgrade Xiaomi phones from MIUI 10 to MIUI 9: Xiaomi officially announced the MIUI 10 ROM at the Mi 8 launch event held in late May this year. The latest MIUI 10 ROM brings Ai Voice assistant, full-screen hand gestures, improved recent menu, smart home integration, a new driving mode, and several other new features and performance improvements over the predecessor MIUI 9 ROM. As promised, Xiaomi already rolled out MIUI 10 Beta ROM to eligible Xiaomi phones and most of you might have already flashed on your respective devices. The update is quite stable, but due to any reason if you’re not happy with the MIUI 10 ROM and wanted to revert back to MIUI 9, then you’re at the right place. Here we have a detailed steps on how to Downgrade MIUI 10 to MIUI 9 stable ROM. 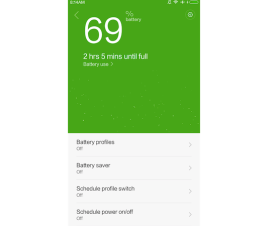 Few users who have been updated their Xiaomi smartphone to MIUI 10 have been facing battery and camera issues, thereby making a mind to downgrade to MIUI 9 ROM. So today here in this guide we will explain to you how to do that in a simple way. Below, we have shared three different methods to downgrade your Xiaomi smartphone. 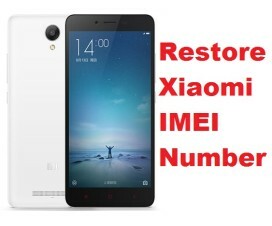 One is the recovery method, second is the fastboot method and the final one is for rooted Xiaomi phone. All the three methods will work on any Xiaomi phone and help you to Downgrade MIUI 10 to MIUI 9. Compatible Devices: Xiaomi Redmi Note 5 Pro, Redmi Note 4, Redmi 6 Pro, Mi 8, Redmi Y2, Mi Max 2, Mi Mix 2, Redmi 5 Plus, Redmi 4, and more. Follow the steps accordingly otherwise you may brick your device. We should not be held responsible for any damage occurs to your phone during or after the procedure which is uncertain if you follow the steps accordingly. Download and install the Xiaomi USB Drivers on your PC (Fastboot Method). It will erase all your phone data, so we advise you to perform a backup of all your important data to a safer place. Ensure the battery level is more than 70% to continue with the downgrade process. There are three ways Xiaomi users can downgrade their smartphone from MIUI 10 to MIUI 9. Of all the three methods, we advise you to go with the downgrade process with the Fastboot method as it works 100%. This Fastboot method lets you downgrade not only from MIUI 10 Stable ROM to MIUI 9 Stable ROM but also lets users roll back from MIUI 10 China/Global Beta ROM to MIUI 9 China/Global Stable ROM. Users need to download official MIUI 9 ROM and flash it via Mi Flash tool. 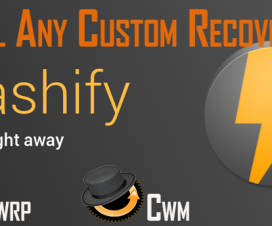 Here below we have shared download links along with detailed flashing tutorial. 1. Download MIUI 9 Fastboot ROM based on your device model from the above download section to your PC. 2. Now you need to boot your device into Fastboot mode by pressing “Volume Down + Power” button. 3. Next, you need to connect your Xiaomi phone to PC using a standard USB cable. 4. Now extract the Fastboot ROM and copy its path on the PC. 5. Launch the Mi Flash Tool on your PC and paste the address bar of the ROM file folder copied from above. 6. Tap on “Refresh” button. This will automatically recognize your device. 7. Next, tap on “Flash” button to start the flashing process. 8. It will take some time to finish the flashing process. So, keep patience and wait. 9. Once done, your device will automatically boot to MIUI 9 Global/China Stable ROM. The downgrading MIUI 10 ROM via recovery ROM is only possible with the same kind of ROMs. For example, if you want to downgrade MIUI 10 Global Beta ROM then you need to download MIUI 9 Global Beta ROM and flash it via Mi Updater app. It is worth important to note that the Recovery ROM doesn’t work every time, so it’s better to go with the above fastboot method. Firstly, make sure your Xiaomi phone runs on MIUI 10 Global Stable ROM. Download MIUI 9 Recovery ROM and save it to your device storage. 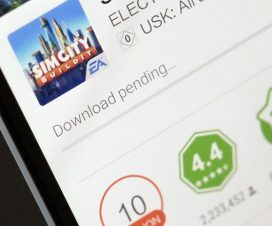 Launch the ‘Updater’ app on your device. Now you need to tap on the three-dot menu option (‘…’ icon) located at the top-right corner. Select the downloaded recovery ROM which you have saved to device storage in Step 1. That’s it! Now, your device will be running on MIUI 9 Global Stable ROM. Step 1: Download MIUI 9 Recovery ROM from above download section to your device storage. Make sure to copy the ROM to root folder of the device internal storage. Step 2: Turn off your device and boot into TWRP Recovery mode. You can follow our guide on how to boot Xiaomi phones into TWRP recovery. Step 3: From recovery main menu, perform a factory reset from the path Wipe > Advanced Wipe > Select Wipe cache, Dalvik cache, System, and data and swipe to confirm it. Step 4: Again head back to recovery main menu and tap on ‘Install’. Here you need to choose the MIUI 9 Global Stable ROM file which you have saved to device internal storage in Step 1. Step 5: Swipe to confirm the flash. Step 6: Wipe Cache and Dalvik cache. 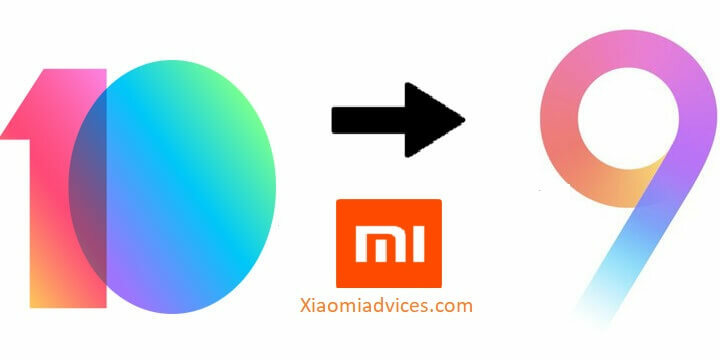 That’s the simplest way to downgrade any Xiaomi smartphone from MIUI 10 to MIUI 9. If you find any difficulty during the above procedure, feel free to share us via below comments. Also, do share the post with your friends and let them downgrade their Xiaomi smartphone to MIUI 9 ROM.